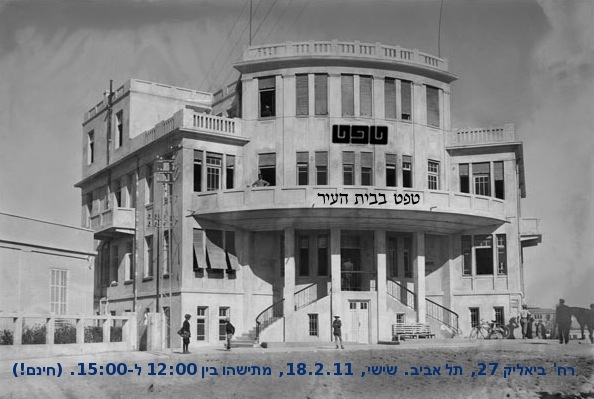 Friday, 18.2, Beit Ha’ir, Bialik 27, Tel Aviv. This event starts at 12:00 and finishes at 15:00. Click here for the rest of the program.